Sign up now to get an EXCLUSIVE early bird price when it is released! Lighting is everything for any photographer that shoots portraits, weddings, events or studio work. 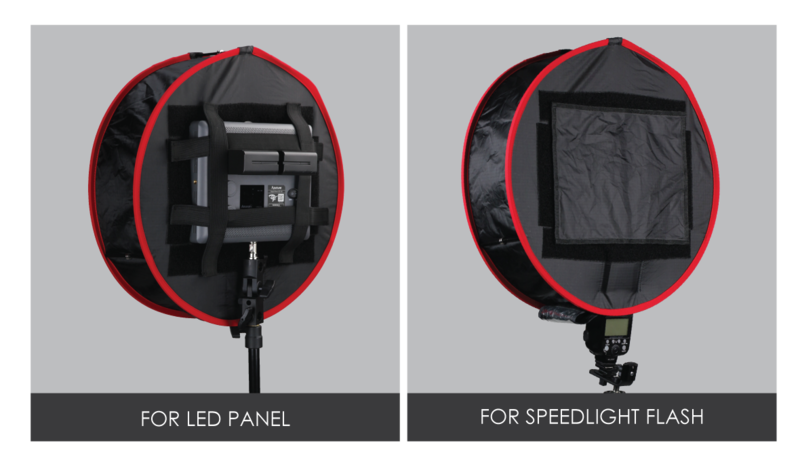 Whether you use LED panels or speedlights, it is extremely important to have the right modifier to shape the light. 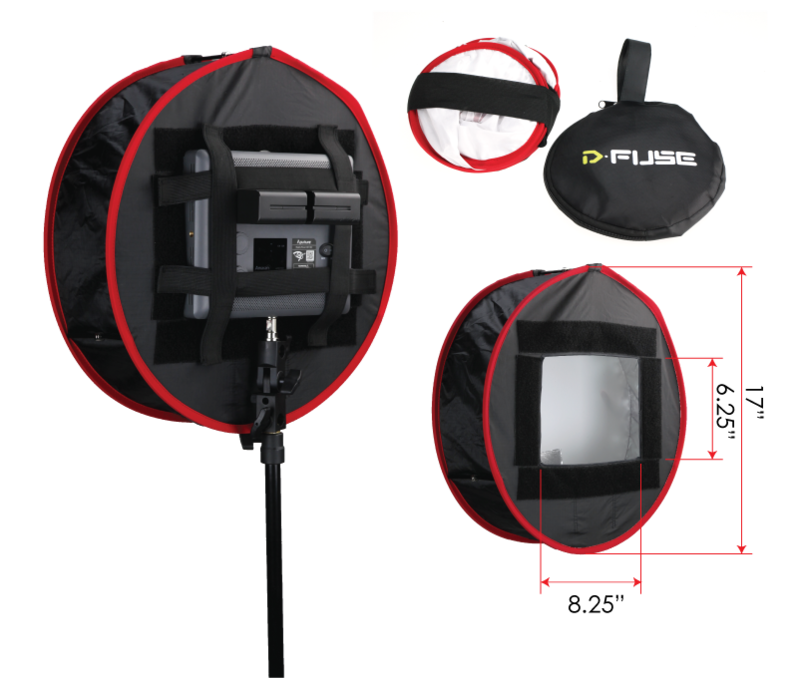 Based on our popular patent pending D-Fuse Collapsible Softbox, we explore a new possibility that extends the functionality of your photography kit without expanding the bulk. We call it our D-Fuse Moonlight Softbox. Setting up the D-Fuse Moonlight Softbox is quick and easy! 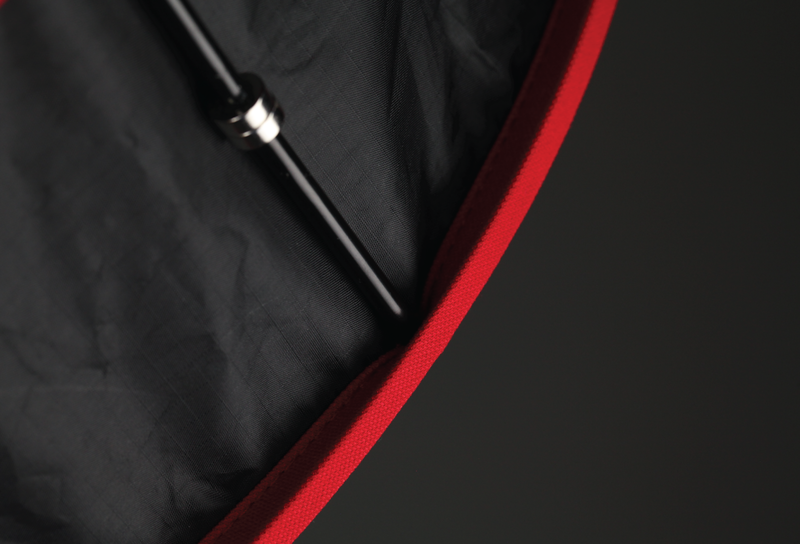 Simply unfold the D-Fuse Softbox and connect the 3 magnetic rods to expand the softbox. 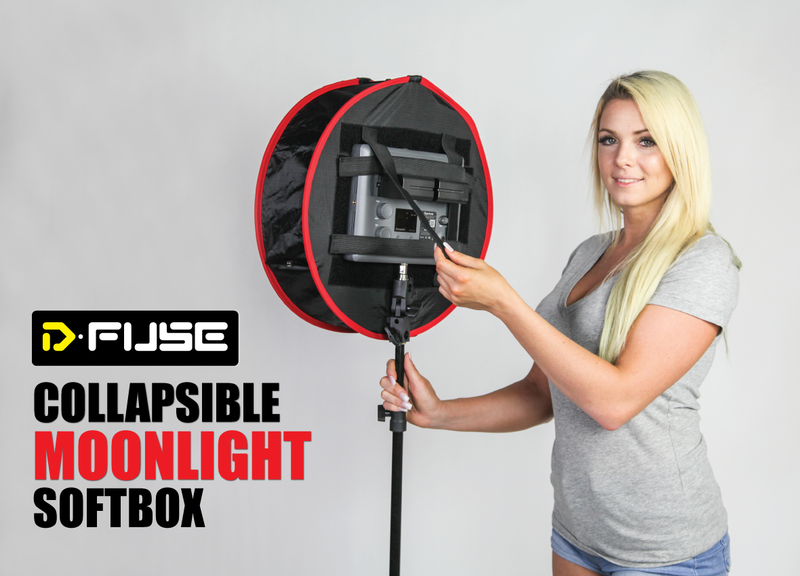 The D-Fuse Moonlight Softbox is the first dual purpose softbox that can be attached to most LED panels and speedlight flash units. The elastic band works with most shoe-mounted flash units, while the 8.5” x 6.5” cutout on the back can be used with LED panels. If you’re using it with a speedlight, slide the flash head into the elastic band to secure the speedlight to the softbox. For installing it onto an LED Panel, just strap the D-Fuse on to the panel and you’re ready to go. 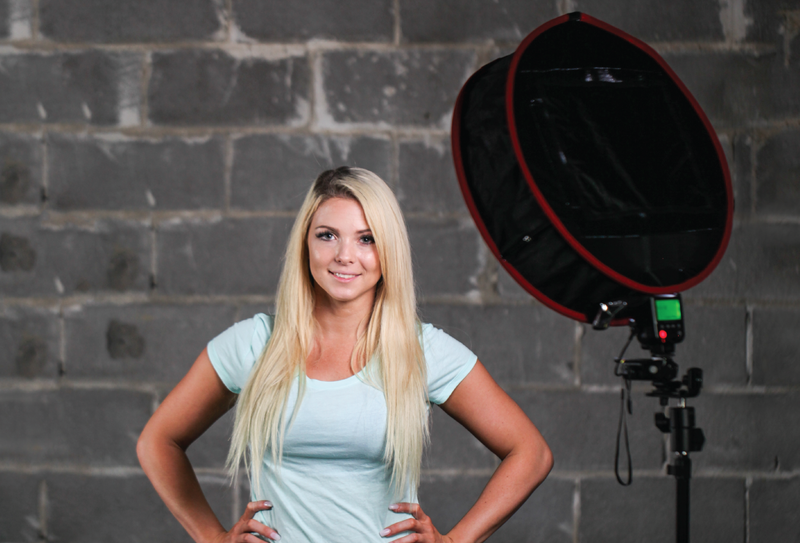 You no longer have to buy different softboxes for the different lights that you have. 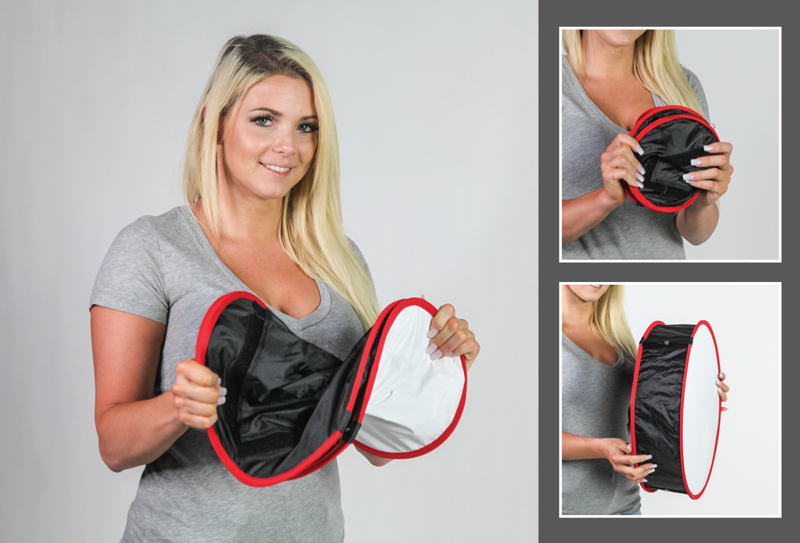 It is the only portable softbox that is versatile enough to suit all of your needs for creating a softer spread of light from your LED panels or speedlights.